Knife Cutting Finger Guard - What's Goin' On In The Kitchen? 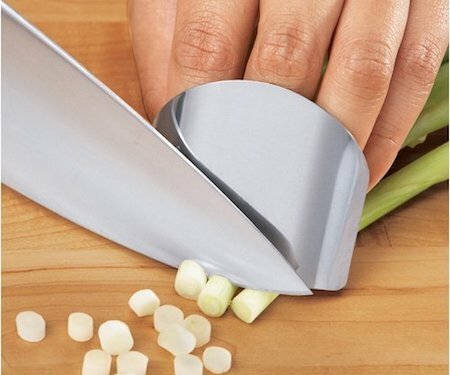 Never lose a fingertip in the kitchen again with the help of this Knife Cutting Finger Guard. Made from high quality stainless steel, this protector has a welded ring that adjusts to the size and shape of even the fattest chef’s fingers. Use the tip to hold food in place while you safely slice and dice away as quickly as you want.